Bangladeshi speedstar Mustafizur Rahman tied the knot with his cousin on Friday. His wife, Samia Arefin, is a first-year psychology department student of Dhaka University. The marriage took place at the bride’s home Hadipur in Debhata Upazila in a strictly private function attended by only their relatives. Fizz’s brother Mahfuzar Rahman Mithu said the wedding was completed with Tk 500,001 'Denmohar' or dower on Friday afternoon. A post marriage ceremony will be organised in Dhaka later for BCB players, officials, friends and well-wishers after the Cricket World Cup 2019 which is scheduled to start on May 30. 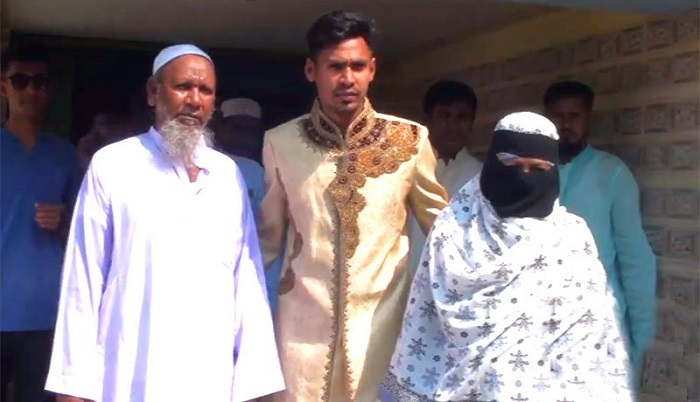 Another young Bangladesh all-rounder Mehidy Hasan Miraz on Thursday got married with Rabeya Akter Priti in Khulna after five-year romance.